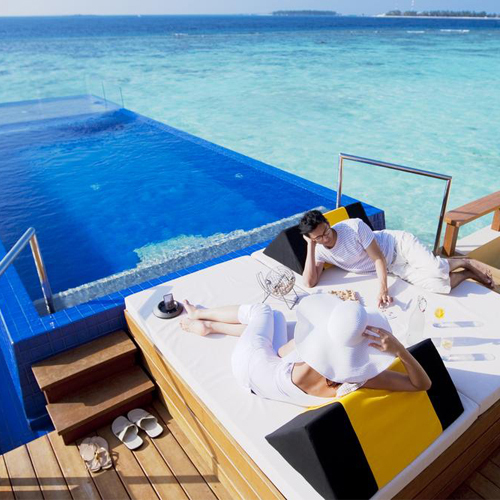 Angsana Velavaru is another exceptional offering from Banyan Tree Hotels group. Guests could reach the island directly via seaplane from the main airport. 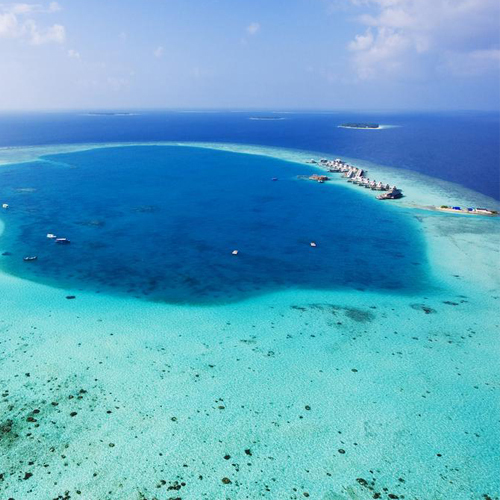 The Velavaru Island is also known as the Turtle Island. The fairytale lagoon will offer you breathtaking views, so take a walk on fine sand - the color of icing sugar and feel it tickle your soles. 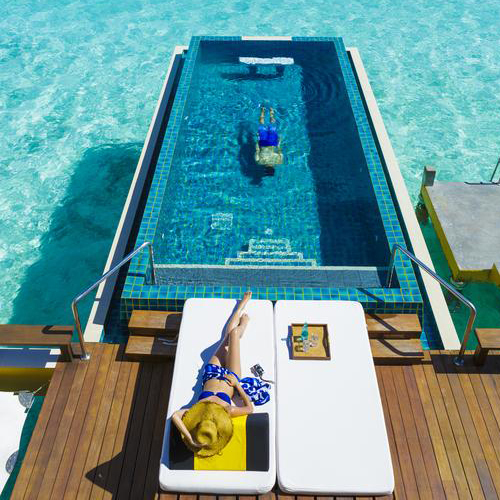 Learn to navigate a coral reef and relish your Maldivian adventure with dolphins and turtles. 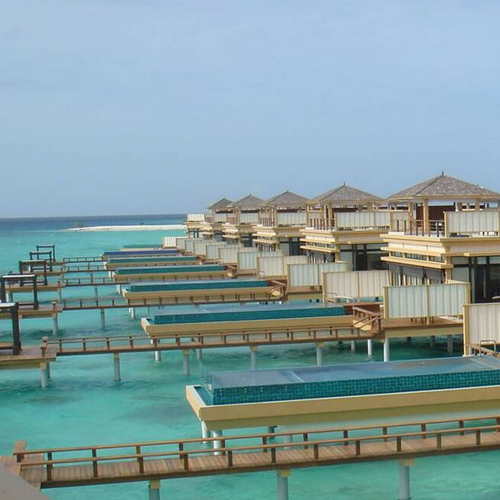 Angsana Velavaru offers you a wide range of villas to choose from. 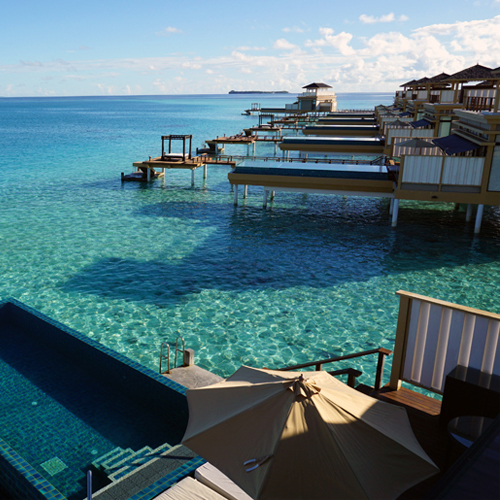 All water villas are built close to the reefs. They are 2 levels high, spacious and offers a private pool in each villa. 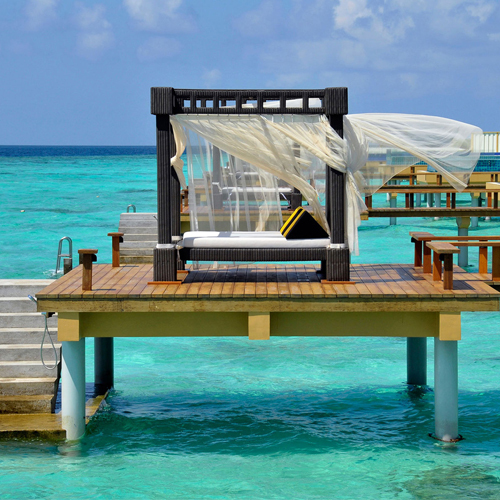 Things to do includes dolphin-watching trips or fishing in a traditional Maldivian Dhoni boat. Guests can also relax and receive spa treatments at Angsana’s award-winning spa. 3 dining options are available in the island, as well as in-room dining. Drinks could be enjoyed at the Azzurro and Kuredhi bars.